…at least a hundred are NOT of the UMAG (Universe’s Most Adorable Grandbaby). Okay, maybe fifty. Because the UMAG keeps insisting on doing (adorable) things like sleeping, I often found myself on the streets, member of a nomadic tribe of grandparents killing time until the next available UMAG-cuddling session. My friend Janine took pity on me and decided I needed to fill the empty hours with culture. But it was obvious to her that it would take more than the Great Masters tastefully displayed in their indirectly-lit museums to counter the incredible cuteness of the UMAG. We headed for Baltimore and the American Visionary Art Museum. An hour or so later, I was lying on a giant pink tongue, the color and sticky consistency of well-chewed bubble gum. I swear that I am not making this up. Looking up into the head’s incredible color and light show, it was disturbingly difficult to believe that nothing I saw was the product of illicit pharmaceutical enhancement. It was just the beginning of my alternative cultural immersion. A few days later, we were in Pittsburgh for Halloween and of course, the Steel City Squares’ Dia de los Muertos (Day of the Dead) square dance. It was (awesomely) held in the eclectic Uptown district, so during the break we wandered into the neon-turquoise studio next door where internationally-known sculptor James Simon was busy with his next massive commission. Pittsburgh, Pennsylvania. 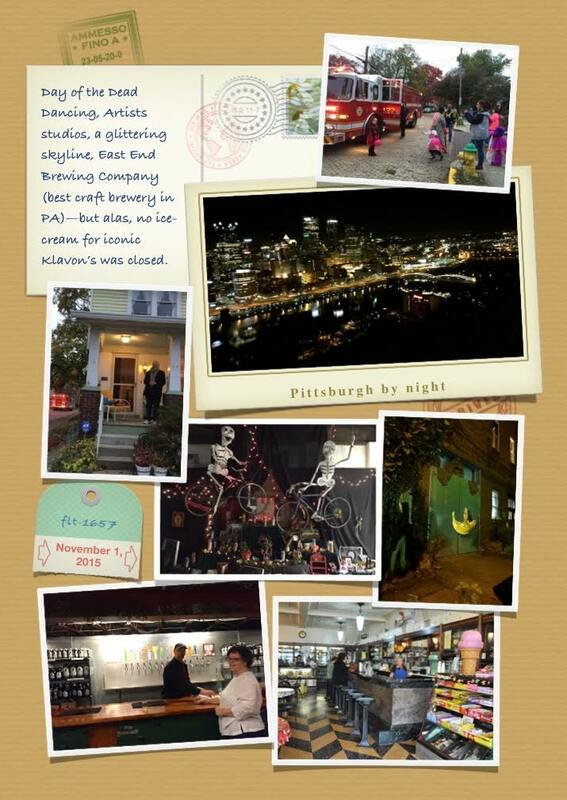 The skyline, the beer, the step back in time to nostalgic neighborhood trick-or-treating, the dancing, the art. But (sob!) NOT the ice-cream—Klavon’s had switched to winter hours. So when it came time to put in a search term for this week’s FridayFive, my choice was obvious. (No, it wasn’t “grandmother”. Again.) I put in “Outsider Art” and prepared to be impressed. I wasn’t disappointed in the gorgeous covers displayed. But even among them, one stood out. Burning Man: Art on Fire, a photo essay by Jennifer Raiser, seemed to leap from the page. Every August, tens of thousands of participants gather to celebrate artistic expression in Nevada’s barren Black Rock Desert. This vastly inhospitable location, called the playa, is the site of Burning Man, where, within a 9-mile fence, artists called Burners create a temporary city devoted to art and participation. Braving extreme elements, over two hundred wildly ambitious works of art are created and intended to delight, provoke, involve, or amaze. In 2013, over 68,000 people attended – the highest number ever allowed on the playa. As Burning Man has created new context, new categories of art have emerged since its inception, including Art to Ride, Collaborative Art, and of course, Art to Burn. 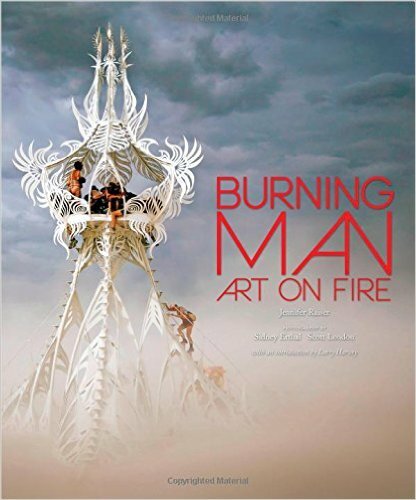 Burning Man: Art on Fire is an authorized collection of some of the most stunning examples of Burning Man art. Experience the amazing sculptures, art, stories, and interviews from the world’s greatest gathering of artists. Get lost in a rich gallery of images showcasing the best examples of playa art with 170 photos. 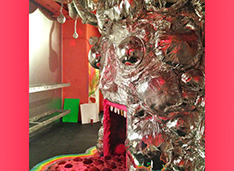 Interviews with the artists reveal not only their motivation to create art specifically for Burning Man, but they also illuminate the dramatic efforts it took to create their pieces. Featuring the incredible photography of long-time Burning Man photographers, Sidney Erthal and Scott London, an introduction from Burning Man founder Larry Harvey, and a foreword from Will Chase, this stunning gift book allows Burners and enthusiasts alike to have a piece of Burning Man with them all year around. My Analysis: Burning Man. It’s been on my bucket list for as long as I can remember. The scale, ephemeral nature, and audacity of the festival are incredible. As soon as I looked at the book trailer, I was hooked—especially because it doesn’t look like I’ll make it to Burning Man any time soon. Unless I can persuade the UMAG’s parents to move to the Nevada desert, my upcoming vacations are all spoken for. After all, I’ve only got a few gigs left in my camera’s storage space, so I’ve got to reserve them for more baby pictures. BUY or PASS: PASS –for now. But I really do want this book. No kindle version for me, though. I’m going to be explaining to Santa why I need the full print volume, and apologize for the additional weight to his sleigh. If he looks inside, he’ll get it. My arm. But an amazing picture (illicitly) snapped by my friend Janine inside The Mouth. That must have been a surreal but unique experience. Wow! That video is stunning. It must be totally mind blowing to attend the festival. I hadn’t realised your ‘family business’ was the birth of the UMAG. I can say that because I don’t have one yet, Congratulations. Thanks, Mary! It was a rocky path and a one-month-early UMAG, but all is totally fabulous now. So let the Bad Grandma begin! I would definitely need a print copy of an art book, sounds a great place to visit. 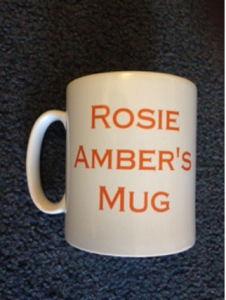 Bit pricey for me at the moment, but one for the wish list. Okay, I’m trying this again. WordPress wouldn’t let me post my last comment … there was nothing x-rated, I promise! So ~ this post! That video! And your friend Janine calls square dances? Too cool! I totally get your UMAG fixation … we have 6 and it never gets old. Enjoy every minute ! I have many younger friends who do burning man each year. I have seen some of these pics of the art and sculptures. It all looks so cool. At this age I’m not into hanging out in the desert at a giant wierd party though. Nope. Sorry…I can TOTALLY see you at a giant weird party. Oh, wait…You live in New York. Been there/done that. It is astounding the creativity of the human mind–when I first heard of Burning Man–it was through television. I can only imagine what the real experience would be like. By all means, find a way to check that off your bucket list and then blog about it with whatever pixels you have left in your camera’s memory.